Fire features are a great way to enhance your outdoor living space. Since the dawn of time, outdoor fire has attracted and entranced. From essentials like heating and cooking to the delights of sharing and relaxing, nothing warms the heart like sitting around a crackling fire. In today’s hectic, wired world, the simple pleasure of making memories gathered around a fire will be treasured for a lifetime by you and your family and friends. Share stories and songs, roast hot dogs and marshmallows and enjoy a night under the moon and stars around a fire feature from Patio Town that fits perfectly within your outdoor living space. Extend your gatherings long into the night and late into any season with the warmth and beauty of a fire feature in your yard or on your patio. Radiant heat from a fire takes the edge off a chilly spring day, summer evening or fall morning. Even in winter’s cold you can gather at home with hot chocolate around the fire just like at the ski area or skating rink. A fire feature can serve as a visual anchor for your outdoor space or a dramatic focal point. Patio Town’s fire features are more affordable than custom-built fireplaces and look just as beautiful, with many styles and options for every taste and budget. Create an eye-catching majestic structure that is the heart of your patio, or frame a fire ring kit with seating walls. Surround a movable firehouse with comfortable outdoor furniture, or select a corner fire feature to create a cozy conversation nook. Create an inviting gathering spot with pre-assembled fireplaces, do-it-yourself kits, fire pots, fire tables, fire bowls, firehouses, firepits, fire rings and tabletop or freestanding patio heaters. 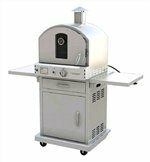 Grills and pizza ovens – wood-fired and gas – complete any outdoor living, dining or kitchen design. Find just the right feature, whether it’s the Ledgestone Fire Ring Kit or a series of fire pots to use as luminaries along a walkway, in Patio Town’s online catalog or learn more about options available below. Do you prefer a permanent fireplace or do you want use a fire feature in different spaces? Consider this when deciding on a freestanding fireplace, a built-in fireplace kit, firepit/fire ring, or a movable firehouse or chiminea. A fire bowl or fire table is a movable option too. A patio heater might be the feature you need if you have limited space like in a town home or apartment. Do you want a focal point for your outdoor space? Then our Willow Ridge Fireplace might be what you’re looking for. For a smaller space or corner, consider the Pacific Living Mid-Size Fireplace. 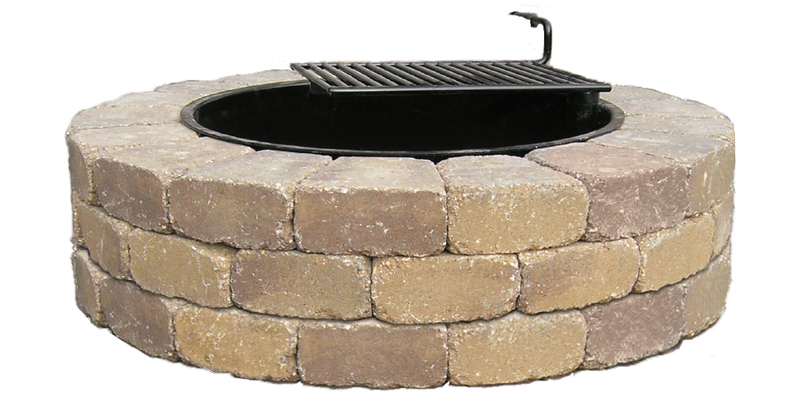 The Ledgestone Fire Ring Kit is perfect for the yard or installed on a patio or in a hardscape. A movable firehouse, chiminea, firepit or fire table is great if you want to match your existing outdoor furnishing as these come in a variety of styles. A fire can be a source of warmth and light at dawn, twilight, in the evening, and into the night. Gather around to watch the warm glow light up the faces of your guests, or circle an electric tabletop patio heater for an outdoor game of cards. Do you have access to and storage areas for wood? Do you prefer a propane fire table or an electric patio heater? These choices depend on where and how you will use your fire feature. Electric tabletop heaters can be used in screened-in porches or balconies, while some wood fire tables can be converted to tables with inserts and used anywhere. Fire pots with candles or oil wicks are a great choice for tabletops and walkways. Different municipalities have various codes about how close a built-in or permanent fire feature can be to a structure. Covered fire features like fire bowls or gas fire tables might not be subject to codes. Contact your local fire department or municipality for more information. Learn about options listed below, and Shop Patio Town’s online catalog for specific products. Chiminea: Chimineas are typically large rounded pots with tall chimneys and an opening on one side. 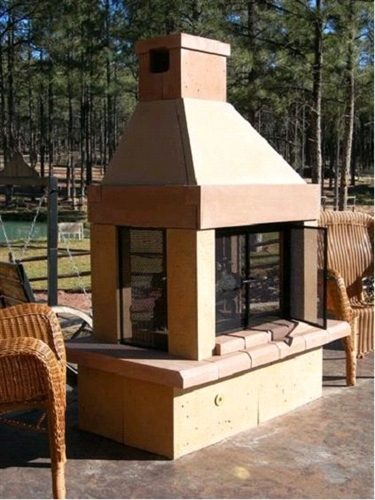 Patio Town has a hybrid firehouse/chiminea that is movable and has a removable ash receptacle. Fire bowl: Movable and portable, fire bowls can be used on patios or elsewhere to allow for additional seating. Some are light enough to travel to the beach or cabin. Because the fire source is raised, the heat does not affect the surface under the fire bowl, which is often made of porcelain-coated steel. Fire pot: Small fire pots are perfect for tabletop lighting and luminaries along walkways, paths or unexpected areas of your garden or yard. Many include lanterns for tea lights or stone bowls with oil wicks. A fire pot is a unique alternative to candle arrangements used anywhere you would like the ambiance of flame without the smoke. Firepit/fire ring kit: Recreate the cabin or cottage experience right in your own backyard with a firepit or fire ring. Our Ledgestone Fire Ring Kits come in six colors and are easy to install. They have an outside diameter of 46” with a 30” metal fire ring insert and optional cooking grate. Ledgestone Fire Rings work well in hardscapes, such as a paver patio. Fire table: Popular and multi-functional, fire tables can be used with colored pebbles or “fire glass” to create a stunning fire-and-ice effect. Mantles include slate, granite, faux wood and other materials. Round, square or hexagonal shapes and decorative metal work match any outdoor décor, plus some have interchangeable side panels. Typically fire tables use propane and have on-off and heat adjustment switches. Several come with inserts or ice buckets to use as a table when fire is not desired. Firehouse: A freestanding firehouse is a flexible option for a fireplace. Easily movable, most firehouses have a 360-degree view that surrounds you with warmth. Removable ash receivers make for easy tending and cleaning, and ceramic tile and wrought iron make these firehouses durable and beautiful. Fireplace: Choose a freestanding fireplace with chimney that diverts wood smoke from your seating or dining area or our easy-to-assemble kits that look just like more expensive custom fireplaces. Options like cooking inserts or pizza stones bring out your inner chef, and numerous materials and designs will complement any outdoor décor. Luminary: Fire pots and lanterns make great lighting along pathways and walkways, on tabletops or in unexpected places within the landscape. Luminaries add ambiance, romance and mood to your outdoor living spaces. Patio heater: Electric heaters are both functional and stylish and come in both tabletop and floor styles. As a heat and light source, an electric, infrared heater is unaffected by breeze or wind. They are easy to move and have automatic shut-off if tipped over. Tabletop heaters are also available in LP gas models, without the lighting option. Many are suitable for patios, porches, decks or balconies so outdoor spaces can be enjoyed later in the day and longer into the season. Pizza oven: Infuse a delectable hardwood flavor into your pizzas right at home and prepare a wood-fired pizzeria-style pie right at home with a freestanding pizza oven made of decorative iron. Several fireplace styles can have pizza stone inserts for a similar cooking experience.